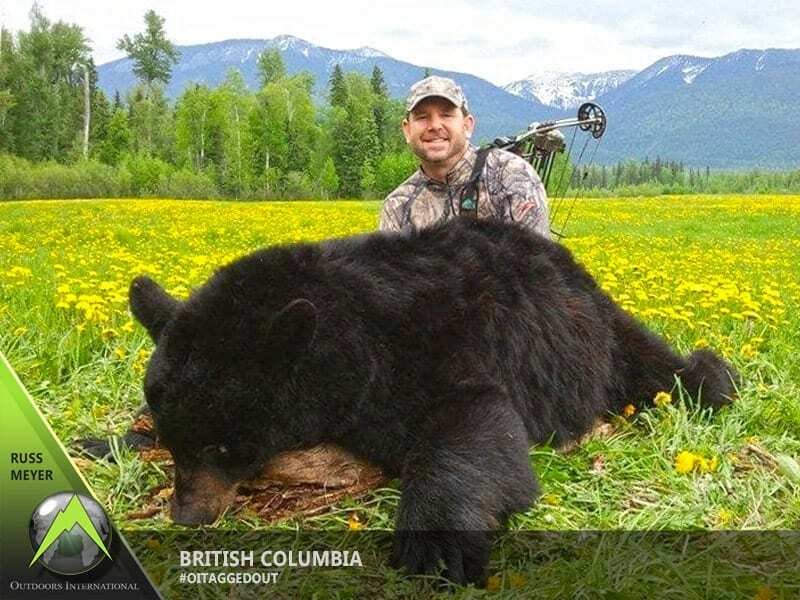 An Outdoors International hunter took the bear of a lifetime on his spring hunt in Alberta, Canada. 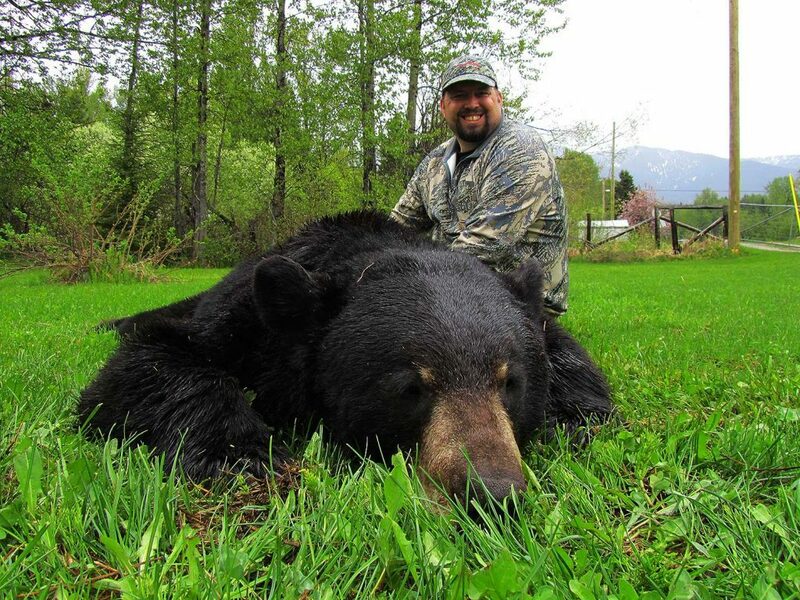 I was lucky enough to hunt black bears this past May with a great outfitter just west of Edmonton, Alberta. I haven’t hunted black bears with my bow over bait in over a decade, and quickly realized how much I missed doing this hunt. As the big bruin materialized from the thick forest, my heart picked up it’s pace. My guide had told me that the stand I was hunting held a great bear, and that if I was patient, I might have a chance at him. My first night produced no sightings, and 3 hours into night 2, I still hadn’t seen anything. That all changed in an instant. When the bear stepped into the open, I could see only his head. I’m no expert on field judging black bears, but I knew this was the huge bear they had told me about….. I was lucky enough to hunt black bears this past May with a great outfitter just west of Edmonton, Alberta. I haven’t hunted black bears with my bow over bait in over a decade, and quickly realized how much I missed doing this hunt. It always amazes me that you can be in a tree stand or on the ground, just 20 yards from the bait site, and not hear them at all until they are right now top of you. You would think an animal of this size would make all kinds of noise, but they are easily one of the stealthiest animals on the planet. Typically, on these hunts, you hunt in the evenings only. You try and get to your stand around 5 or 6 in the evening, and wait until dark, which can be as late as 10:30 at night. Some bait sites will produce more bears than others. I’ve sat in stands where I’ve seen 6 to 8 bears a night, and have had a few sits where I’ve seen nothing. It’s hunting. But the anticipation is always there that the bear of your dreams can appear at any moment. I chose this stand because I didn’t need to have a bait site where I would see a lot of bears. I wanted an opportunity at a great, old mature boar. Two good bears were on this stand, and the one was a bear of a lifetime. The first night produced nothing. Not one sighting of a bear. The wind was swirling some, so I’m sure this played into things. Some people might have been discouraged, but I knew that these big smart mature bruins are very cautious. I was confident that if I put in my time, I would have a chance at him. The next night I got settled into the tree stand and the wind was much more consistent and favorable this time. My anticipation was high. It was around 6:30 pm and I was confident tonight was the night. Each hour that passed, my anticipation was lower and lower. Around 9:30, I had stood up in my tree stand, mainly to stretch my legs and looked slowly over my shoulder. Seeing nothing, I turned back around and that’s when I saw him! He was standing just behind the bait site, staring straight ahead. He looked up slowly, but then put his gaze back on the bait site. As he walked slowly towards the barrel, I turned on the camera and got him framed in. Problem was, he kept moving. Bowhunting and self-filming adds a whole new level of difficulty. As he moved, I moved the camera with him. He stopped a few times, but he was either at a bad angle, or behind a tree for no shot. As he walked towards the back of the barrels, I had him framed up. He stopped and put his nose in the air. At the same time, I felt the wind hit the back of my neck. I knew I had seconds to take the shot. I pulled back, settled my pin, and released. As the bear bolted off, the thick vegetation crunched under him. I heard him run directly away from me for a few seconds, and then, nothing. I sat down, trying to get my breathing under control. I knew I had to give him 30 minutes. After the allotted time, I climbed down and looked for my arrow. I found it a few yards behind where he was standing at the shot, full of blood. It appeared I made a good shot. After some searching in the thick vegetation behind the bait site, we found this bear piled up. The shot went through both lungs and he went less than 100 yards. After some handshakes and pictures, we took him back to the lodge. He was 7’ and weighed 272#. Easily my largest black bear of my life! That week in camp we had 5 hunters and 7 great bears were taken. 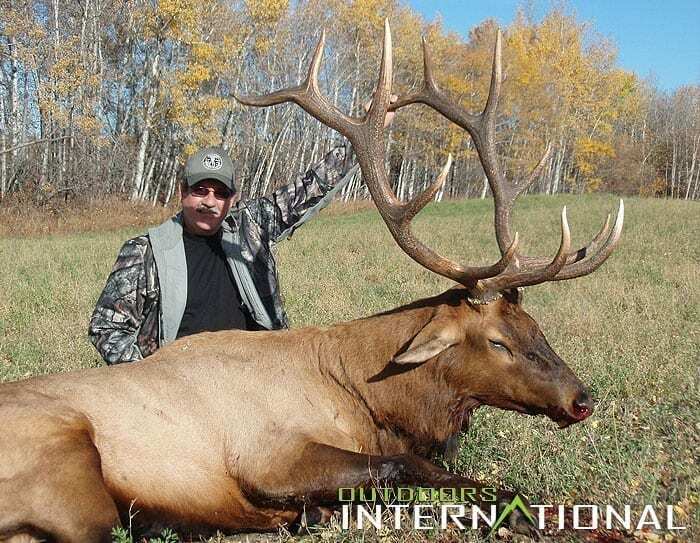 THANK YOU OUTDOORS INTERNATIONAL FOR THIS OPPORTUNITY!!! 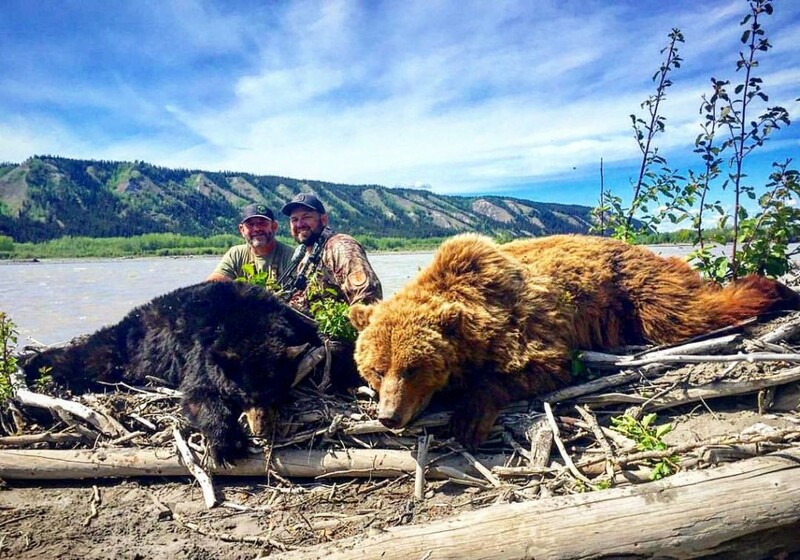 If a black bear hunt is something you’ve thought about, this is a hunt you want to look at. The hunting, service, food, lodging and fellowship are incredible with this outfitter. The outfitter only has 10 spots each season.